Shortly after the first referendum on Quebec separation, four people who knew each other as children encounter one another in the town where they grew up. Bourlamaque began as a frontier gold mining camp in the northern Quebec bush. It is attached to Ile d’Or, the commercial centre, which by 1982 is still a bustling place despite concerns about the gold running out. The four protagonists - Michelle, Libby, Nick and Lucien - are some thirty years out of high school when they meet again. The four of them either converge on Ile d’Or, or still live there, and play out in a few days a drama that none could have foreseen. Mary Lou Dickinson grew up in northern Quebec and has lived for many years in Toronto, where she worked as a crisis counsellor. She holds a Bachelor of Arts from McGill University and a Master in Library Science from the University of Toronto. Her fiction has been published in the University of Windsor Review, Descant, Waves, Grain, Northern Journey, Impulse, Writ and broadcast on CBC Radio. 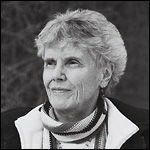 Her writing was also included in the anthology, We Who Can Fly: Poems, Essays and Memories in Honour of Adele Wiseman. 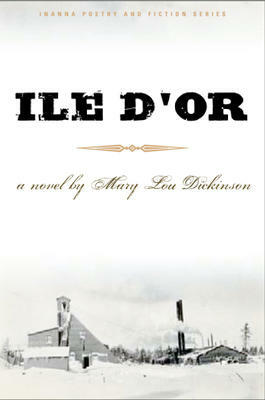 Mary Lou’s first book of short stories, One Day it Happens, was published by Inanna Publications in May 2007. Posted on October 7, 2010 by Mary Lou Dickinson.